The Kin Hunters of Sandusky County, Ohio, Inc. was formed to encourage and build interest in family history and genealogy. We collect records of historical and genealogical nature to be made available to members and the general public. We work in partnership with the Ohio Genealogical Society, the Rutherford B. Hayes Presidential Library and Museums, and other libraries and groups in support of local genealogical interests. The Kin Hunters assists members in their genealogical research, and publishes genealogical materials when appropriate. 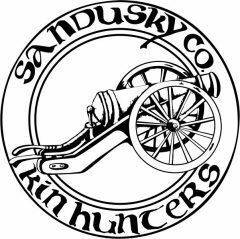 All persons interested in genealogy and family history are invited to join the Kin Hunters of Sandusky County, Ohio, Inc..
Our membership year runs from January 1st. to Dec. 31st of each year and is only $12.00 per calendar year. You will find an application link below or come to a meeting and join then. Members receive four e-mail issues of “Kith N. Kin”, our newsletter, one each season. Our members are encouraged to submit a five generation chart, which is indexed and placed with others at the Rutherford B. Hayes Presidential Library and Museums for all to use and see. Our members can submit up to 25 names that they are researching. These names are published each spring with all others in our surname index. With this index you can see who else is researching the same surnames that you are researching.